Japan is a country of islands. The 4 main islands of Hokkaido, Honshu, Shikoku and Kyushu makes up the majority of the country's landmass. That said, being such massive islands with roads and infrastructures that create some of the largest cities in the world, exploring any of the 4 islands doesn't make it feel like traveling on an island at all. Often times, we imagine islands as small and easily navigable from one end to the other with quaint small towns or villages just facing the white, sandy beach. In this article, we'll be looking at Japan's underappreciated and some even unheard of islands that you can actually visit that is almost devoid of tourist presence. 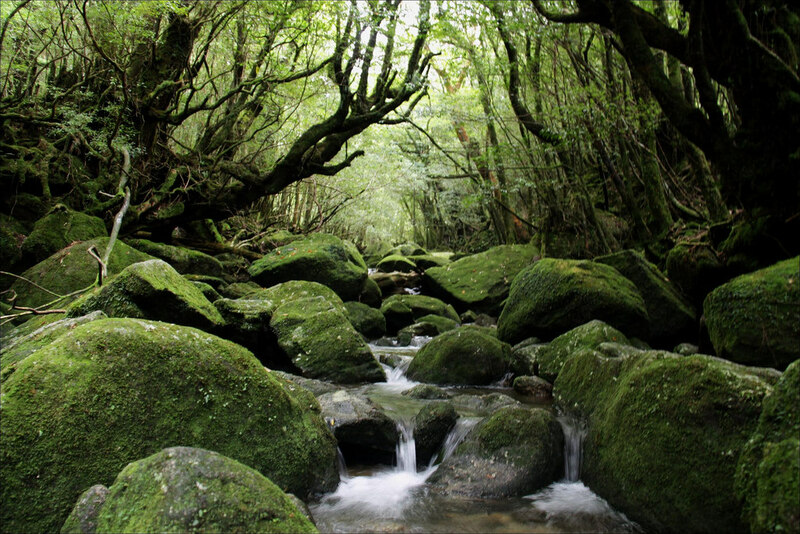 Almost fully covered with cedar trees, Yakushima is an island of mystical proportions. The subtropical island contains some of the oldest trees in Japan speculated to be more than 2300 years old. Together with mountains that are close to 2000m tall, the entire island is listed as a UNESCO Heritage Site and a hotspot for hiking enthusiasts. Such pristine and untouched landscapes allow some animals to thrive on the island. Some common ones include the Sika deer and the Yakushima macaque. The migratory loggerhead turtles also see Yakushima as their spawning ground. With such a serene and lush ecosystem, it's no wonder that even the great Miyazaki Hayao drew inspiration from Yakushima as the setting for one of his most critically acclaimed film, Princess Mononoke. Just off the coast of Niigata prefecture lies the sixth largest island in Japan. The remote nature of Sado island in ancient Japan meant that the island is a perfect place for banishment and exile for some of the most prominent political figures during certain time periods. Soon after gold was found on the island, Sado quickly boomed into a community which peaked at 100 000, with miners providing over 80 tons of gold for the Tokugawa Shogunate. The population dipped soon after the gold rush and the mines formerly closed in 1989. Tourism now features temples and ruins of 3 of the most influential figures that was exiled on the island: Former emperor Juntoku, Buddhist monk Nichiren and the founder of the Noh arts Zeami Motokiyo. The island is also home to the endangered Japanese Ibis that is successfully reintroduced into Sado as well as the yearly festival called the Earth Celebration hosted by the island's very own famous Taiko group. Locally grown food on Sado are also exclusively used on the island like the Sado beef and oysters that is not available anywhere else. Imagine being in the countryside that is Tokyo. The whole place covered in greens, with no one around you within a radius of 2km. You reached the top of a mountain ridge and look far ahead into the horizon as you close your eyes and breathe in the clean, ocean air- wait, what? How the hell is that Tokyo? Yes, welcome to the southernmost and the most isolated island of the Izu islands. Aogashima is administered under part of the Tokyo prefecture, some 350km south of the city centre off the Pacific coast. Access to the island is so limited that you can only reach by helicopter or ferries that only visit 4 days a week. With a population of barely 200, this is as close to isolation in Tokyo as you can probably get. 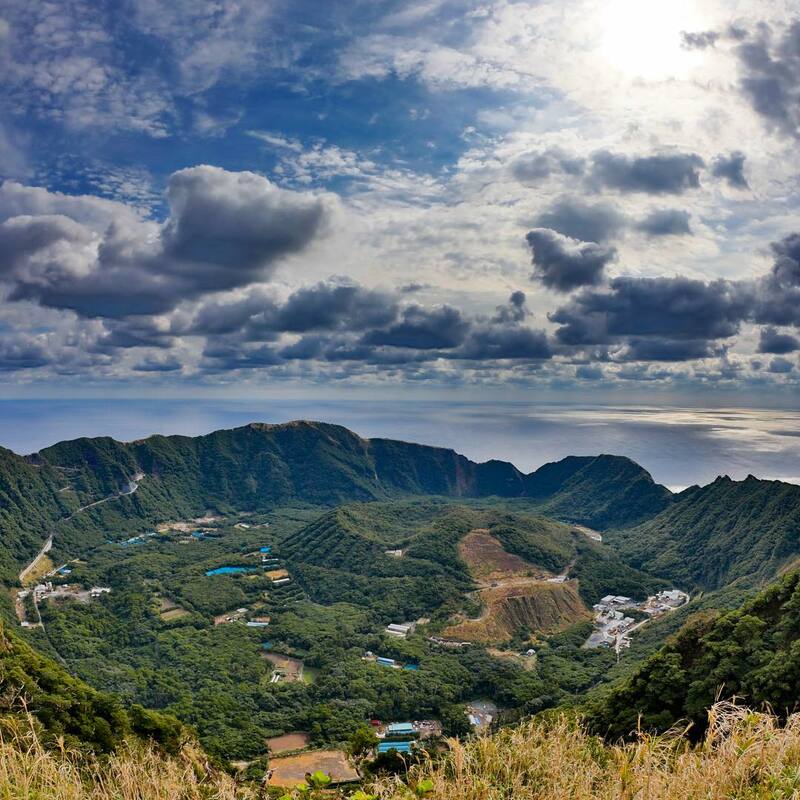 Things to do on the island include Hiking around the lush, green hills, taking a sauna produced by the volcanic steam coming out of the island, fishing out in the great ocean as well as tasting the sake made by sweet potatoes grown on the island. The best thing to do though, is star gazing during the night. Being such an isolated island, Aogashima is almost devoid of light pollution and can be said to be one of the best places to capture the view of some of the best starry nights anywhere in the world. If you think Aogashima is isolated enough, then you haven't heard of the Ogasawara islands. Even further south 1000km away from Tokyo lies the chain of islands. 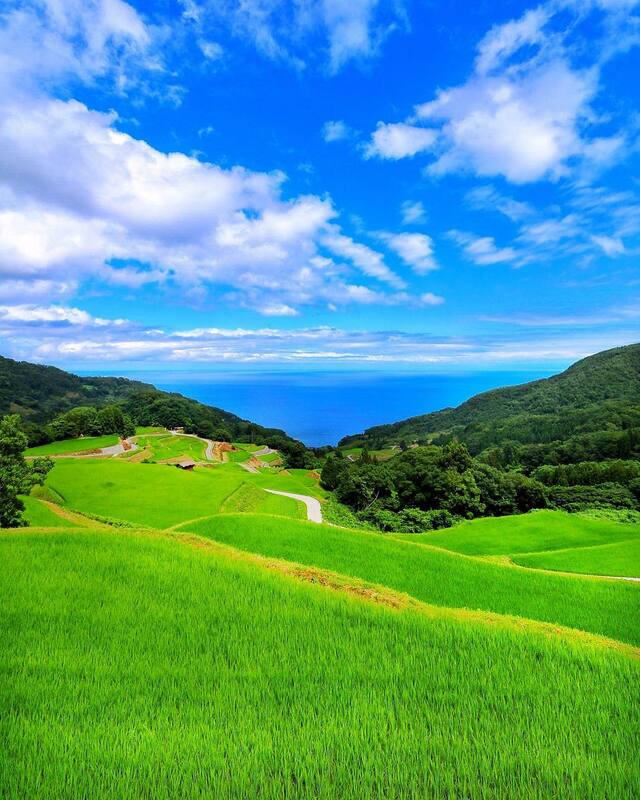 Ogasawara is divided into the 2 collections of islands called Chichijima to the north and Hahajima to the south. Same as Aogashima, the Ogasawara islands are administered under Tokyo prefecture with a total of just under 2500 people. Access to the island is even more limited with a ship that visits only once per week from Tokyo and takes 25 hours to reach. However, that also mean that the ocean surrounding the islands are clean and clear which makes great snorkeling, surfing and scuba diving spots for visitors. Hiking is also a hugely popular activity on the archipelago. The birth of the Ogasawara islands are similar to that of the Galapagos which causes the wildlife inhabiting the islands to go through a unique evolutionary progress, so much so that visitors must go through a process to decontaminate their clothes, shoes and belongings to prevent the introduction of invasive species into the islands eco-system. 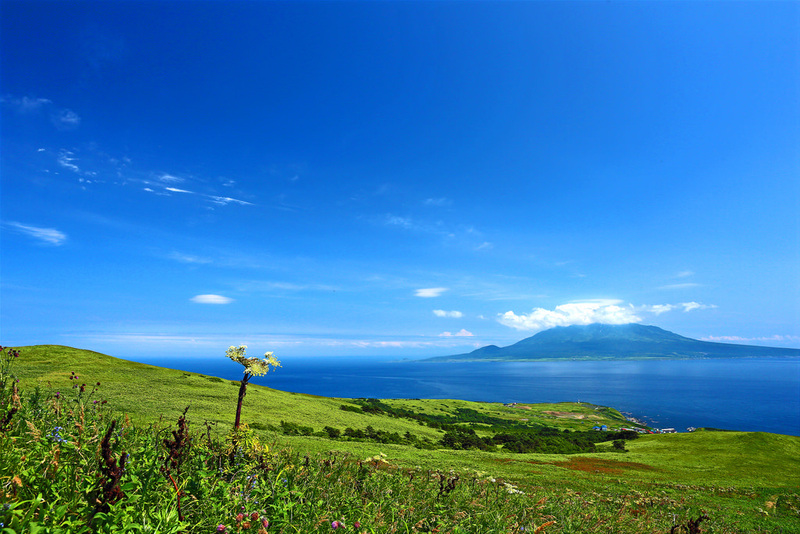 Last but not least, we have 2 of the most northern islands in Japan. Both Rishiri and Rebun takes about 2 hours to reach by ferry from Wakkanai. The islands can also be reached in an hour via air from the Sapporo Okadama airport. Rishiri and Rebun are best visited during the summer months when the wild alpine flowers and plants are in full bloom which produces some of the best natural landscapes in Japan. The mountains on the 2 islands are perfect for hiking, but bicycles are also available for rental. And with that, we've covered some of the most beautiful islets of an island nation. 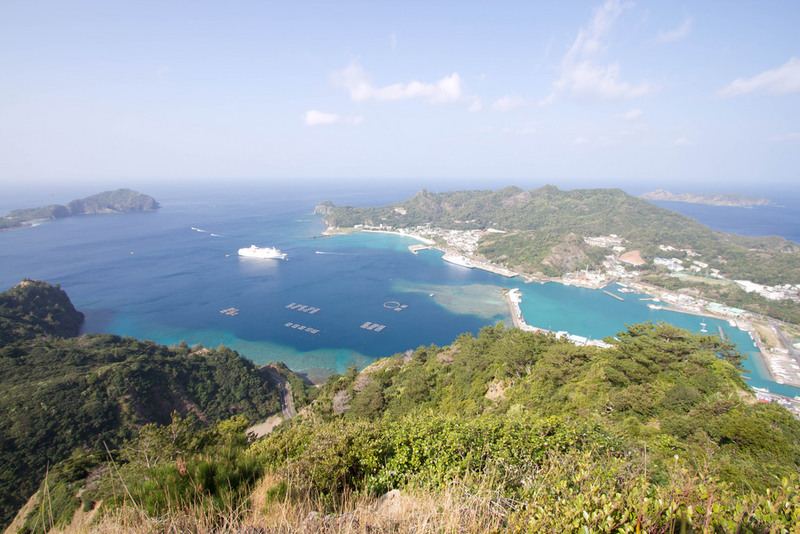 Next time you're in Japan and feeling a bit more adventurous, put on some sun lotion, strap up your hiking shoes, prepare your outdoor gears and head out to the smaller islands for some great outdoor adventure.